Only a century ago, Tasmania could be quite a hard place, especially if you were not well off. Many people turned to petty crime to earn a crust, but even minor misdemeanors were harshly dealt with. Just take our friend above; Mr Musselwhite dabbled in a spot of fraud, nuffin’ serious guvnor, and ended up cooling his heels for six months. Now, three modern-day Tasmanian thieves are busy spiriting away fine distilled malt liquor and transforming it into whisky in tribute to these men and women of old, who they consider to have been dealt a raw hand. Spirit Thief is a new independent outfit, focused on sourcing the finest Tasmanian spirit and aging it in high quality barrels to create unique limited releases of superlative whisky. The team consists of Brett Steel (founder of Tasmanian Whisky Tours), Jarrod Brown (ex Lark, now assistant distiller at Belgrove) and Ian Reed (ex Sullivans Cove, Lark and now owner of Gold Bar, Hobart). The Temperanillo Batch 001 started life as a 225L French oak barrique that was then cut down into three 20L casks and each filled with spirit. After about 2.5yrs the three casks were vatted together and then bottled at 48.3% abv. Coming from a cask that once contained a medium bodied red wine like Temperanillo, the colour of the whisky is a deep, rich amber. The scent is hot, oily and languid, like an old polished timber table in the sun. Notes of beeswax, caramel, dark honey, musk, pears, orange, chestnut, almond, nutmeg, rose, leather and hay play across the senses. The mouth is dry and spicy with plenty of heat thanks to the decent alcohol percentage, while the mid-palate is oaky with an edge of walnut and a slight sharpness. The finish is long, with a twisted curl of bitter citrus closing out the experience. Being one of the reprobates that actually managed to scam a whole bottle for himself, I can say with authority that this rare whisky is one well worth tracking down. If the Temperanillo Batch 001 is anything to go by, hopefully more Spirit Thieves are reformed in their oaken cells and released back into society very soon. Good news wafflers, Tasmanian Whisky Week is returning once again in 2018 with a jam packed lineup of fantastic whisky related events! As the industry expands, so does the scope for celebrating the achievements of this home-grown success story. From the seed planted by Bill Lark’s epiphany-on-the-lake in the 90’s, the Tassie scene has blossomed ever since, with over 20 distilleries, as well as several independent bottlers, now in operation. 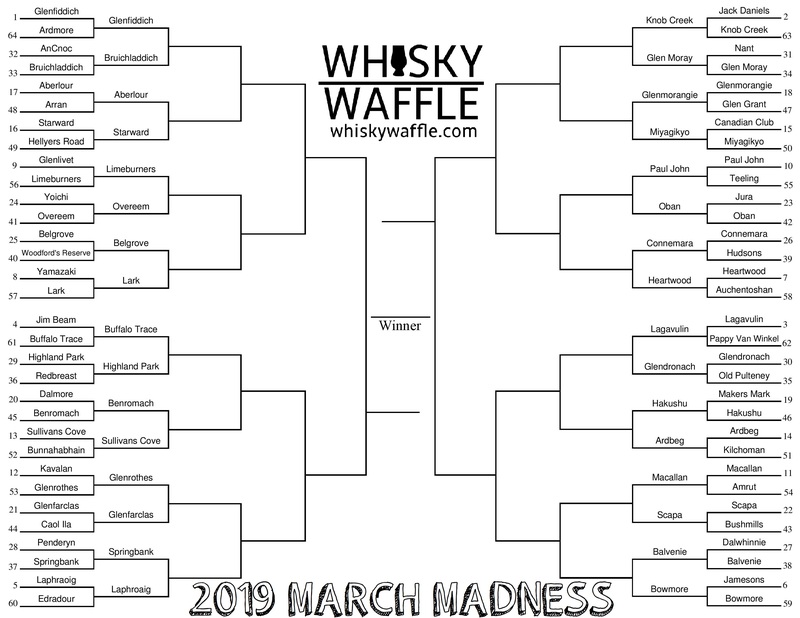 Whisky Waffle will be getting into the spirit (ahem) of the week by showcasing a few of the newer distilleries that have recently celebrated their first releases (including one that is making its debut during Whisky Week! ), so keep an eye out on the blog. Head over to the Tas Whisky Week website to get all the details of all the events and participants and make sure you find some time this week to celebrate one of the finest whisky industries in the world. Even if you can’t make it along due to geographical distance or lack of time, make sure you raise a glass of fine southern single malt and give a hearty toast to Tasmanian whisky! Who’d have thought 25 years ago that Tasmania would have over 20 distilleries and an entire week dedicated to whisky made in Australia’s southern-most state. Yet here we are in 2017, bearing down fast on nine days worth of events celebrating the art and craft of the Tasmanian distilling scene, with a host of tastings, tours and talks (not to mention lavish, decadent dinners) featuring the folk responsible for crafting Tasmania’s fine cask-aged grain spirits. However, up here on the North-West Coast, we can’t help but feel a little left out. Tasmania is nothing if not parochial, with most events being held in Hobart and a few in Launceston. Even the dinner run by Burnie’s very own Hellyer’s Road Distillery is being held just outside Launnie. Luckily, on Thursday the 10th of August, Devonport’s Southern Wild Distillery is stepping up to bring Tasmanian Whisky Week 2017 to the good, whisky loving folk of the North West. Rather excitingly for us, they asked the Tasmanian whisky blogging scene’s answer to Hamish and Andy to host their event (that’s us!). Southern Wild, founded by local lad George Burgess, may seem an incongruous venue for TWW’s first NW event, seeing as they are yet to release their own whisky. However, rather than being held back by this fact, Southern Wild have chosen to embrace it as the theme, entitling the event ‘The Birth of Tasmanian Whisky’. Guests will be guided through a tasting of some of Tasmania’s most renowned drams, led by the witty banter of the Whisky Waffle lads and the industry know-how of George. Each whisky will be expertly paired with gourmet cheese provided by local fromager Euan Wiseman from the Devonport Hill Street Grocer. Additionally, guests will also be provided with two whisky-based cocktails and platters of canapés and light nibbles. The mouth-watering whisky line-up for the evening will feature Lark Classic Cask, Sullivans Cove new-make spirit and Sullivans Cove Double Cask, Belgrove new-make spirit and Belgrove 100% Rye, and Hellyers Road Peated. The event promises to be an unforgettable evening, full of laughter, fellowship, conviviality and most importantly of all, whisky (waffle?). Of course, these evenings don’t happen unless there are people coming along to support, so please help us to make it a roaring success and show the rest of the state that the North West coast is just as passionate about whisky as them.